Come November, Nintendo will be scratching a lot of nostalgic itches with its miniature NES Classic Edition console that comes pre-installed with 30 retro games. But between catching up on your favorite titles, you can now learn how many of them came to be with a new book that sounds like the perfect sidekick to the console. Available a week after the NES Classic Edition hits stores, Playing With Power from Prima Games delves into the backstory of 17 classic Nintendo games—including Super Mario Bros. 3, Donkey Kong, and The Legend of Zelda—through interviews with developers, vintage advertisements, and excerpts from Nintendo Power. 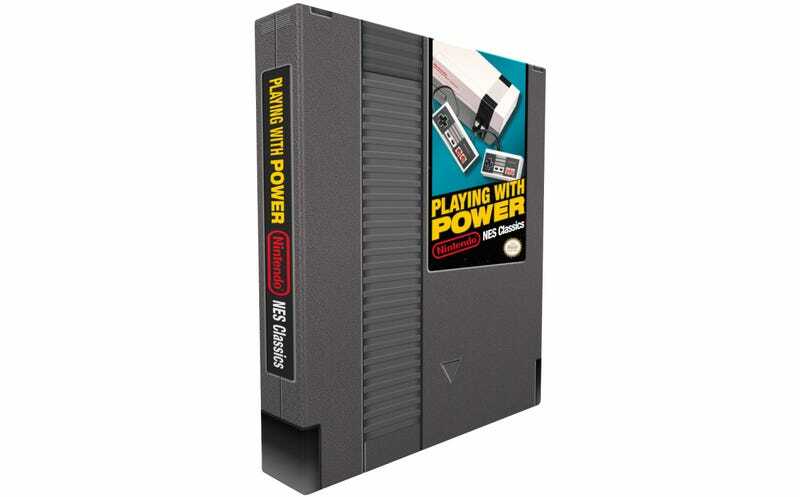 If that isn’t enough to get you to part with $27, the book, available for pre-order now, also comes in a slip cover making it look like an over-sized NES cartridge sitting on your shelf. November sounds like it’s going to be an expensive month for us children of the ‘80s.